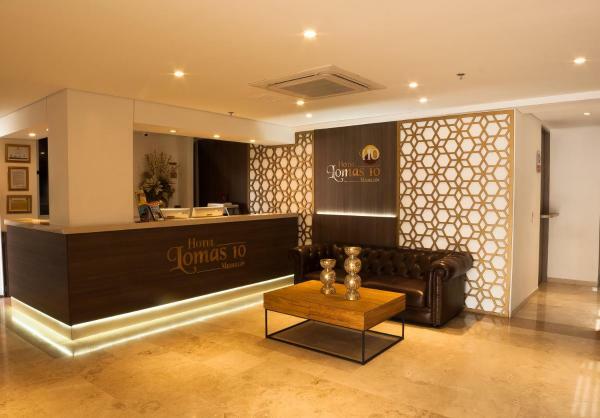 Situated 600 metres from Lleras Park, Hotel Lomas 10 provides accommodation with free Wi-Fi in Medellín. 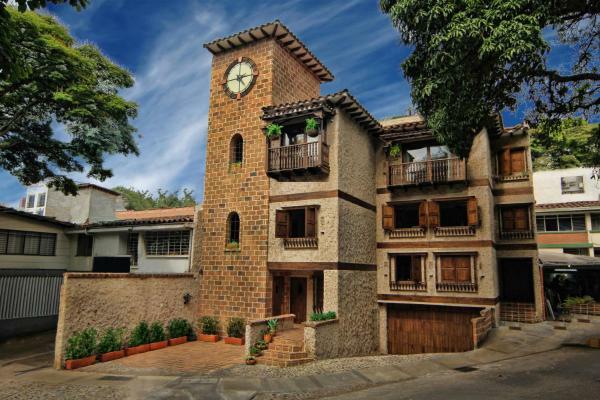 The property is located 900 metres from El Poblado Park and 3.3 km from Pueblito Paisa. The hotel features a shared lounge. 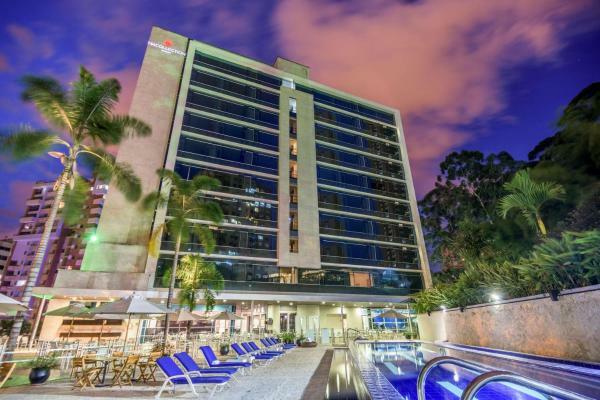 Boasting a terrace and views of the city, Lleras Green Hotel offers modern and comfortable accommodation in Lleras Park, Medellín. Free Wi-Fi access is provided. A daily complimentary breakfast is served. 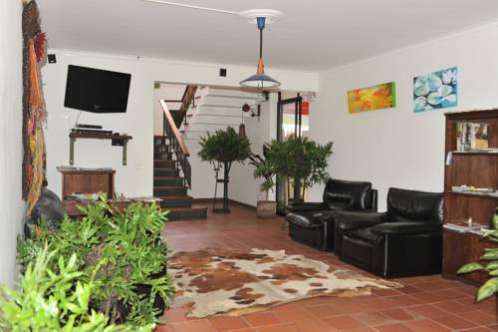 Featuring free Wi-Fi access, Casa Del Reloj offers accommodation in the Zona Rosa of El Poblado, Medellín. Parque Lleras is 400 metres away. 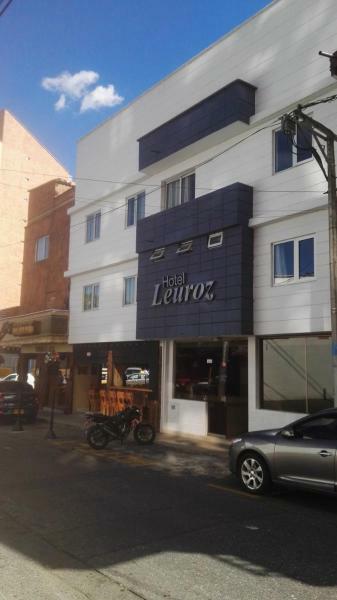 Set in Medellín, 800 metres from 70 Avenue, Hotel Leuroz has a terrace, a shared lounge and rooms with free Wi-Fi access. 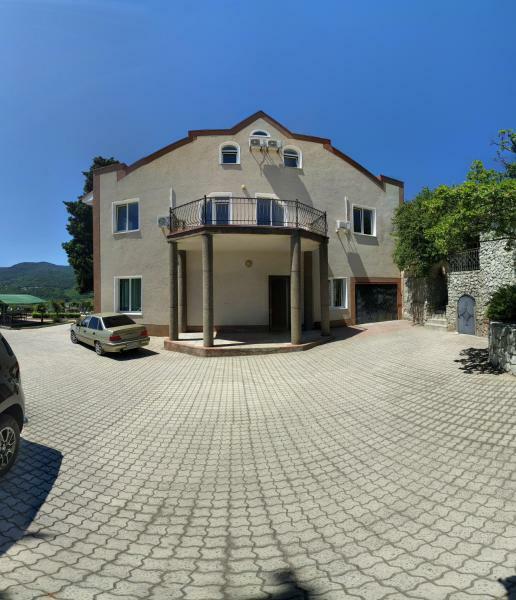 The property is situated 1.7 km from Pueblito Paisa. 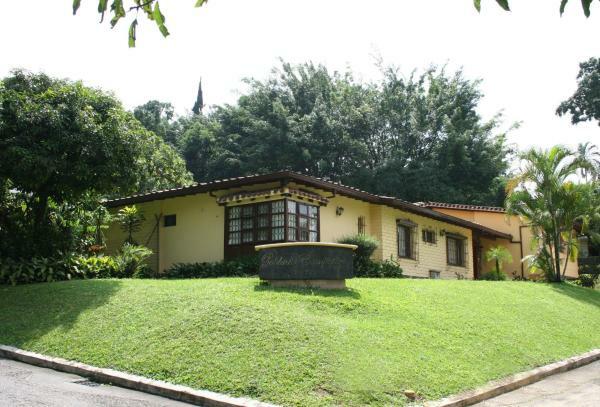 The property is 5 km from El Poblado Park. Featuring a fully equipped common kitchen and a garden, Poblado Park Hostel offers free Wi-Fi and American breakfast in Medellín. El Poblado park is 100 metres away. Rooms at Poblado Park Hostel feature either private or shared bathroom facilities. 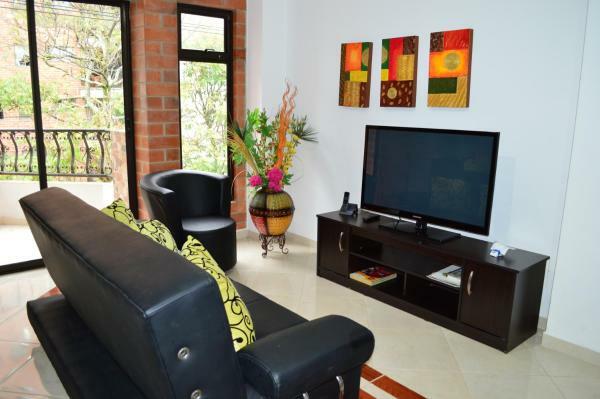 The Poblado Campestre offers free Wi-Fi and an on-site restaurant in an exclusive residential area of Medellin. 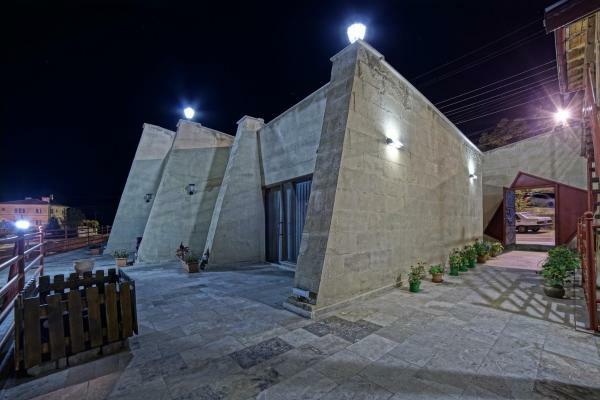 It is surrounded by countryside with the main shopping and business areas nearby. 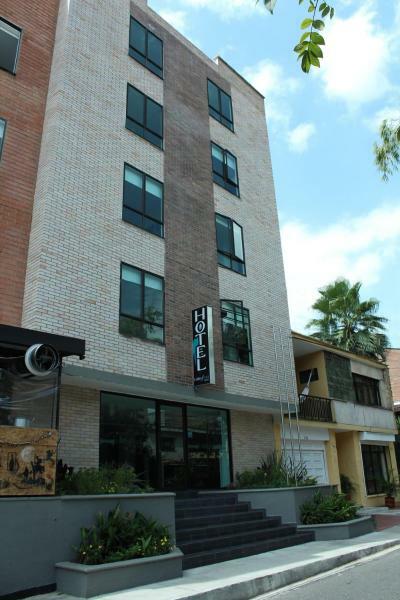 Featuring a spa, Inntu Hotel offers free Wi-Fi and American breakfast in Medellín. Estadio subway station is 1 km away and there is a restaurant. 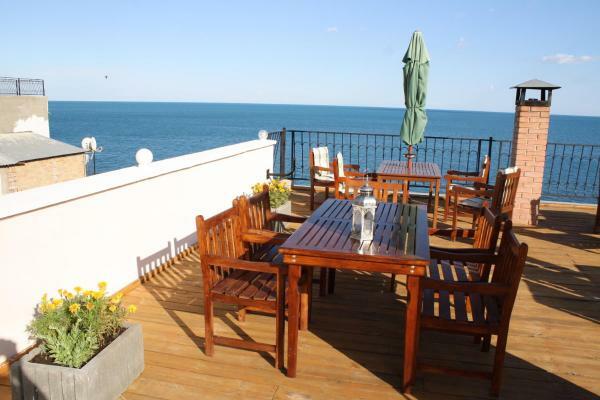 The standard rooms in Inntu Hotel feature private bathrooms, hairdryers, and scenic views. Featuring a terrace with a solarium, a fitness centre, and an outdoor hot tub, this design hotel offers free Wi-Fi and American breakfast. Estadio train station is 400 metres away. Offering an à la carte restaurant, Lobby Park is located in Medellín, Colombia. The property has free Wi-Fi access and is set within the Barrio Laureles District. 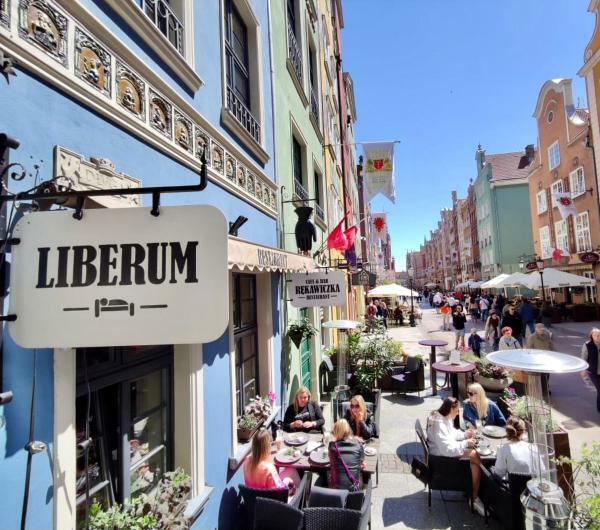 There is a commercial area with restaurants, bars and nightlife entertainment close by. 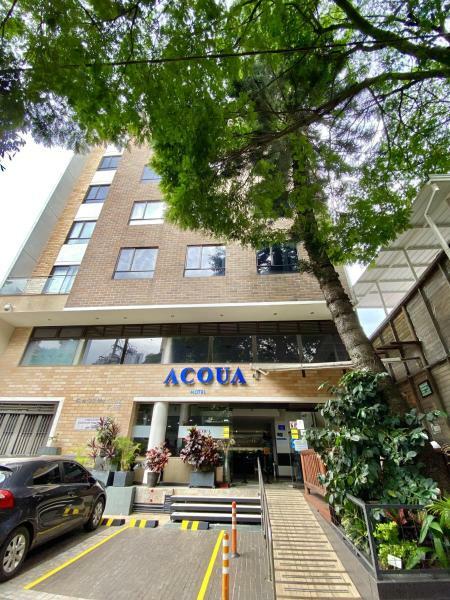 Only 3 blocks from Lleras Park, Acqua has rooms with air-conditioning and free Wi-Fi. El Castillo Museum is 1.8 km away. Acqua Express has comfortable rooms with cable TV and work desks. Some of them have balconies and city views. 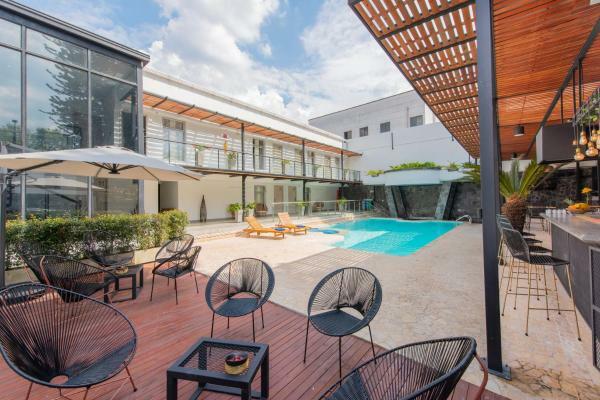 Set in Medellín, 300 metres from 70 Avenue, Hotel Med Estadio features accommodation with a terrace and a shared lounge. 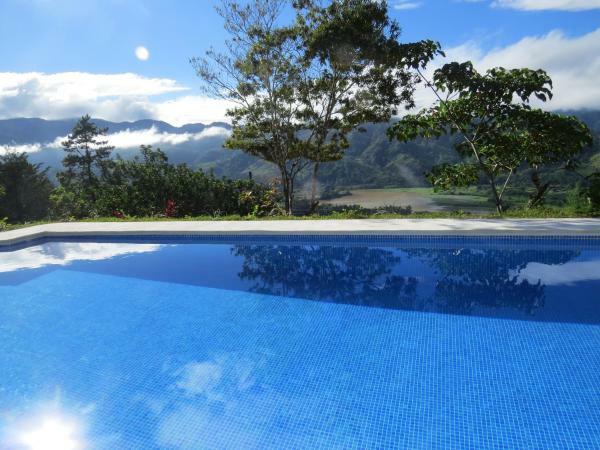 Around 2.4 km from Pueblito Paisa, the property is also 6 km away from El Poblado Park and offers free Wi-Fi. 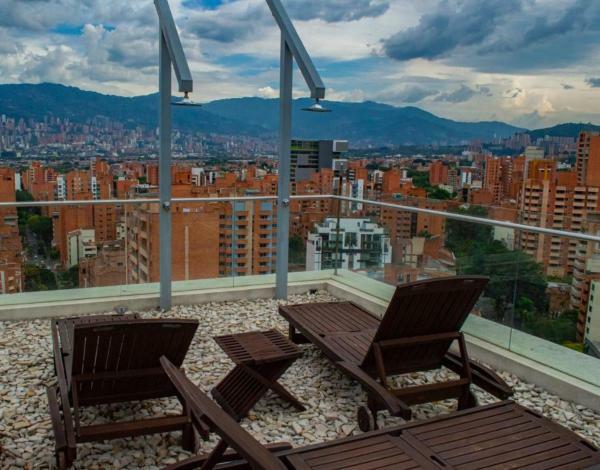 NH Collection Royal Medellín is located in Medellin’s exclusive El Poblado district. The hotel offers an on-site luxury spa and wellness centre as well as an outdoor pool. Guests can enjoy free Wi-Fi access and free private parking. 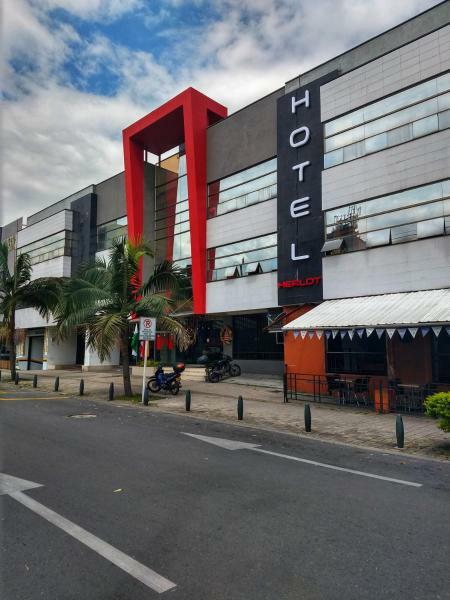 Set 600 metres from El Poblado Park, Vibes Hotel Boutique offers rooms with air conditioning in Medellín. 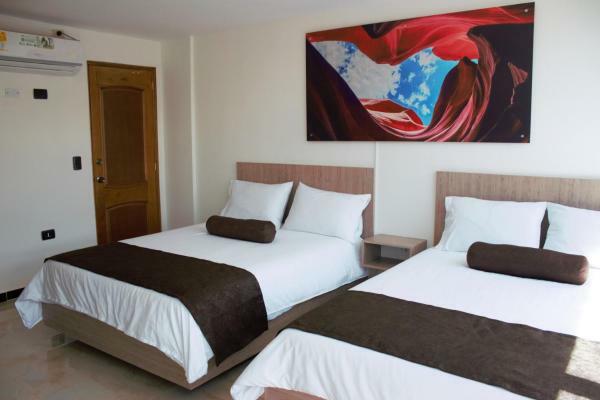 Around 1 km from Lleras Park, the property is also 3 km away from Pueblito Paisa and offers free Wi-Fi. 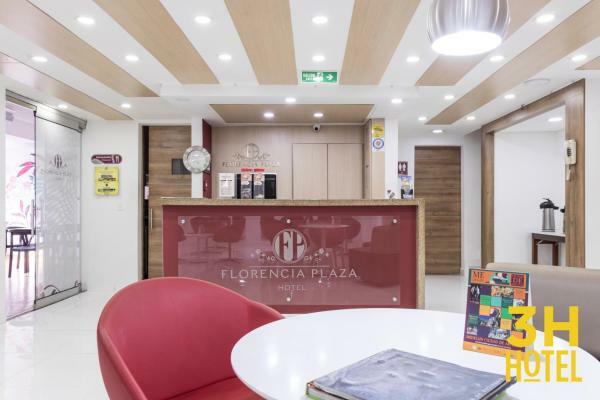 Conveniently located in the exclusive area El Poblado in Medellin and close to the financial and commercial districts, this hotel offers modern well-equipped accommodation with Wi-Fi and includes spa facilities. 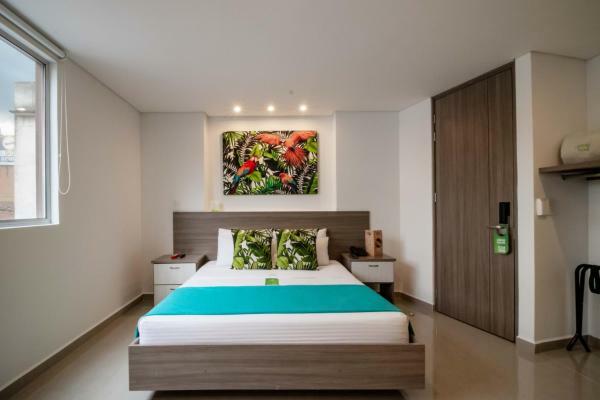 Located 300 metres from Unicentro commercial centre and a 5-minute walk from the main restaurant area, Zojo Apartamentos offers self-catering accommodation with free Wi-Fi in Medellin. Olaya Herrera airport is 10 km from the property.